First ever double-cropping black raspberry! Imagine enjoying scrumptious black raspberries earlier than you ever could before, or being able to command top dollar at market because you're the first to have berries for sale. Now imagine enjoying a second crop off the very same plants later in the summer—sound impossible? 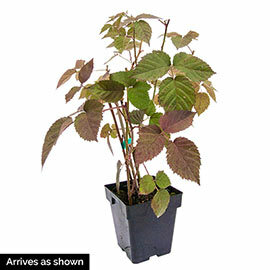 Not with our NEW double-cropping black raspberry, Sweet Repeat! Large, juicy (but not leaky) berries with rich, sweet flavor appear in abundance in very early June and again in late summer. Zones 5-9. cv. 'Niwot'. Potted. Depth: Plant at the same depth it is in the nursery. Blooms: Blooms April - May and again in summer. Fruit: Large, juicy (but not leaky) berries with rich, sweet flavor. Yield: Excellent yield. 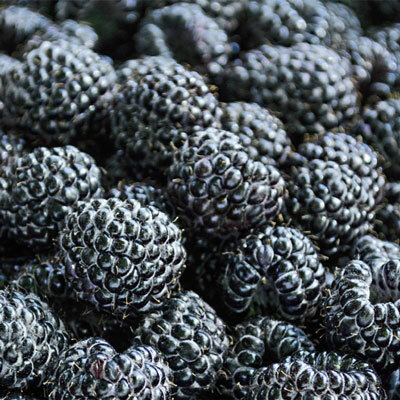 Niwot is able to provide an attractive, productive primocane black raspberry crop starting in late August and continuing until first frost.